VIP Records are proud to announce the signing of one of the most exhilarating voices in Punjabi music; Nirmal Sidhu! Having established itself firmly as the Home of Asian British Music, VIP Records have snapped up one of the iconic voices of Punjabi music, further increasing its ever impressive roster of artists. Having released one of the biggest releases of the year with ‘Gabru Punjab Dha’ by the phenemonal JK, VIP Records have now firmly cemented themselves as one of the most exciting Brit-Asian labels. Alongside being involved in a huge wealth of projects spanning decades, Nirmal Sidhu has toured and performed across the globe, making his name well established across both musicians and fans from all ages. Nirmal Sidhu joins a star studded roster at VIP Records, including househould names such as; JK, Tru Skool, Kulvinder Johal, Raman Aujla, Gurbhej Brar, Manak-E, Jasjot Ghuman & Jags Klimax, who have been essential in the development of both new and established artists over the past few years. 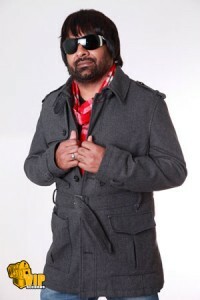 Nirmal Sidhu will be working on his forthcoming album, out soon on VIP Records! hi my self Ranjeet singh ,i am living in uk . i want know about your recoding company coz i wana record my song ……..